If you have over $100 to spend on Bluetooth sport headphones for working out or an active lifestyle, there are some decent options out there, like offerings from Jaybird. 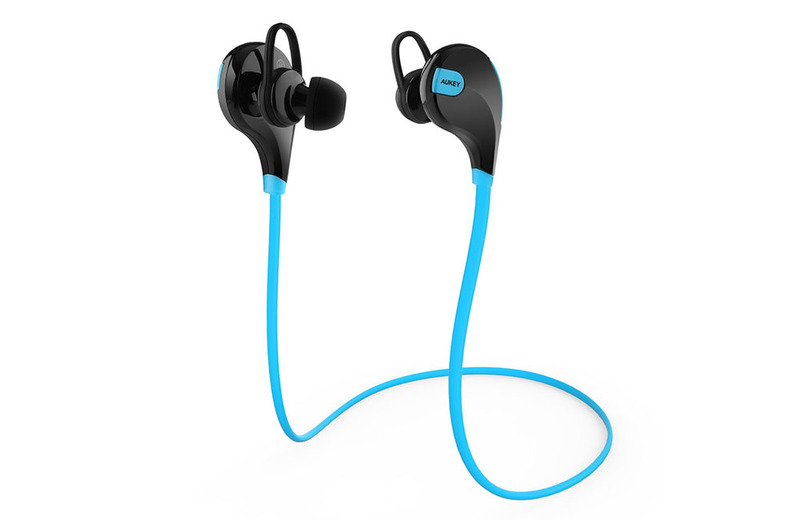 If you aren’t interested in breaking the bank on a pair of headphones that you plan to sweat all over and could reguarly be put in situations where they might be stepped on, dropped, and put through other types of physical abuse, consider the deal currently running on Aukey’s EP-B4 bluetooth sport headphones. These headphones, which currently show a 4-star rating on Amazon with over 100 reviews, can be had for just $9.99. Regularly priced at $22, a coupon code of “EARBUDS5” will get you into them with a $12 discount on top of Prime shipping, assuming you are a member. The earbuds include 3 pairs of ear tips, 3 pairs of secure-fit ear-fins, and 3 pairs of soft ear-hooks. They connect to your phone via Bluetooth (obviously) and should last up to 4.5 hours before needing to be charged again. Most of the reviews seem to think they are a solid option, especially for the price. UPDATE: Looks like these are now sold out.